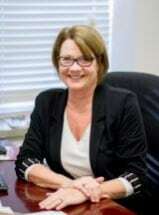 My name is Judith Trentman Wilson, and I am proud of the reputation that I have built here in Belleville, Illinois, and throughout St. Clair, Madison, Washington, and Monroe Counties for being able to effectively help people like you who need compassionate, steady legal representation for matters like divorce and estate planning. After spending many years in the business world, I went back to law school and have been practicing for 14 years. In that time, I have helped countless families get through their most emotional times. As your lawyer, it is my goal to help you resolve your matters effectively and efficiently, allowing you to face the future with as little stress as possible. Life is not easy, and unforeseen legal issues and disputes can turn your world upside down. While you cannot control what has happened, you can protect yourself and your family by making sure you choose an attorney with experience, compassion and a reputation for achieving results. At Judith Trentman Wilson, Attorney at Law, P.C., in Belleville, Illinois, I provide supportive, experienced representation in all the areas of law that a family may need. From adoption to prenuptial agreements to divorce, custody, to estate planning, preparing your power of attorney and last will and testament, to guardianship, to probating one’s estate after death. Throughout all phases of your legal needs, you can rely on me to focus on the unique needs and goals of your family while diligently pursuing an outcome that is in your best interest. As your family's lawyer, I am interested in helping you effectively solve all of your most complicated matters in a way that protects your future. With significant time spent in both family and probate courts, I understand how these issues can often overlap. I am committed to providing you and your family with comprehensive representation that protects your interests. This means if you and your spouse divorce, it may be necessary to update your will or other estate planning documents, such as a power of attorney designation. I can help you with all of your legal issues that affect your family.